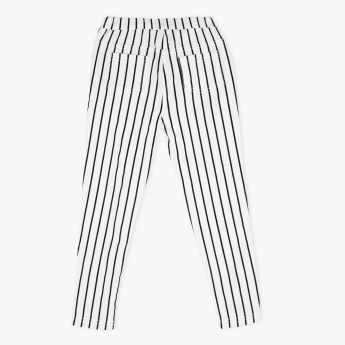 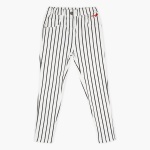 Let your girl flaunt a retro appeal with this charming pair of pants. 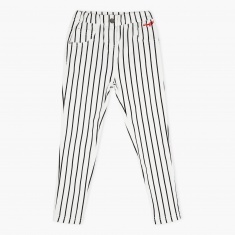 It carries a monochrome look and features all over striped print. 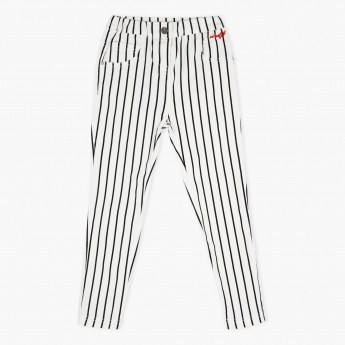 The bold signature at pocket adds a dash of colour, making it a must-have.